(2013/SUNDAZED) 16 tracks - High-Flyin' Surf Rock From Southern California on 180 Gram Multi-Colored Vinyl - gatefold sleeve! 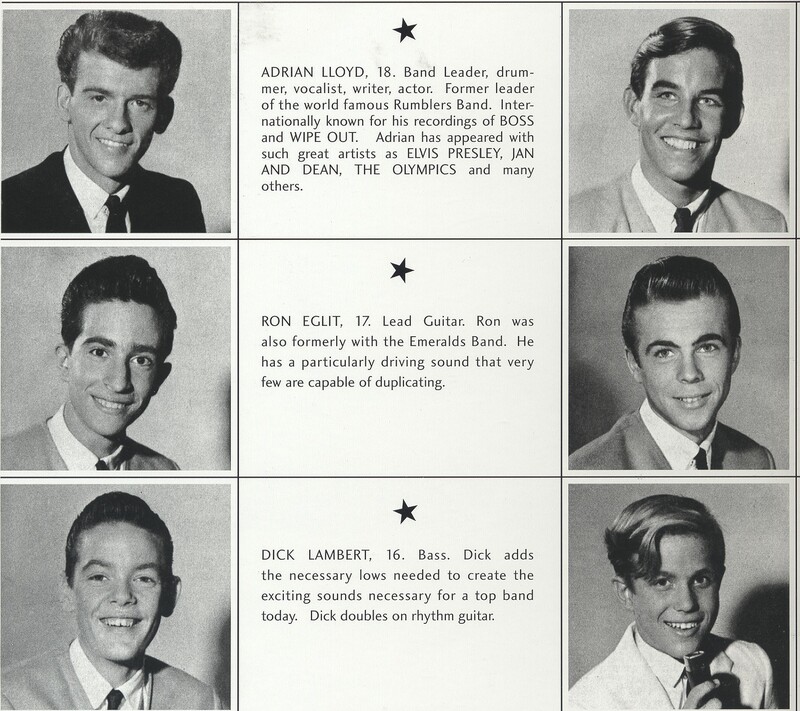 Adrian Lloyd and his backing band The Sunsets were still teenagers when they recorded this highly-prized slab of pure California surf-rock. Long desired amongst collectors both for its brand of high-energy, drum-driven rock ‘n’ roll and for the crazy swirly vinyl it was pressed on, Breakthrough is a prime example of a genre that still excites fans of early ‘60s music. Featuring the should-have-been-a-hit title track and many other almost-classics, Adrian Lloyd’s high flyin’ slab is an essential part of any surf-rock collection. Now Sundazed brings this long-out-of-print album to you the way you want it -— pressed on swirly colored vinyl, with brand new liner notes by John Blair, author of The Illustrated Discography of Surf Music, 1961-1965, and featuring an abundance of great bonus tracks including the hard to find single “She Treats Me Better Than You” and the killer unreleased tracks “Drums In Orbit” and “On Moonlight Bay.” Plus, the CD brings you even more treats, including the highly-desired single “Lorna” and the unreleased track “Mersey Girl”. 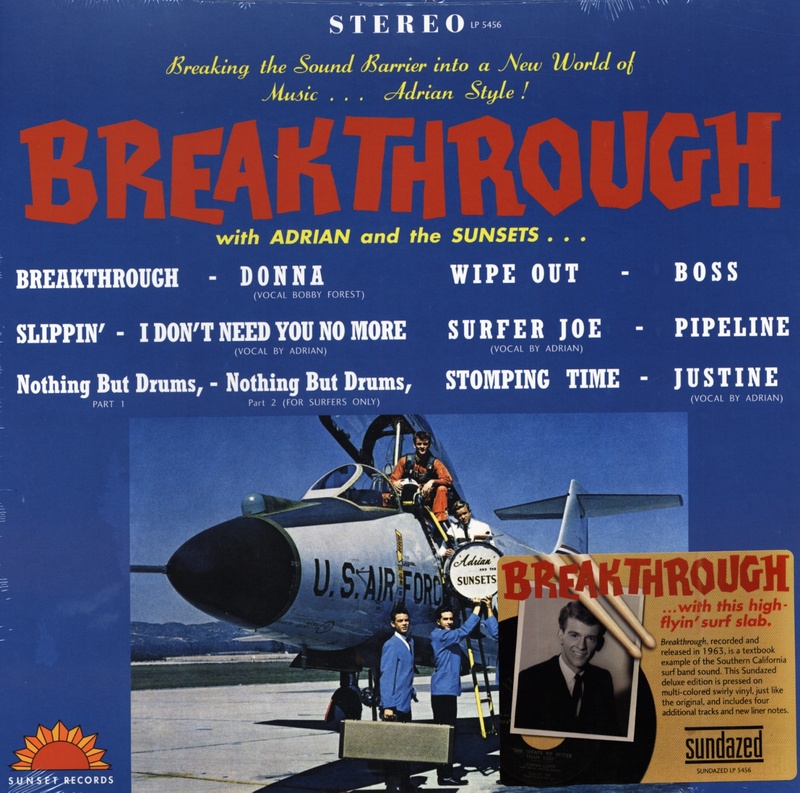 This Sundazed issue of Breakthrough is destined to be just as sought after by collectors! 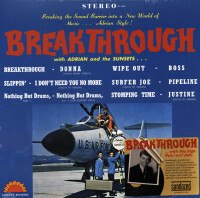 High-Flyin' Surf Rock From Southern California on 180 Gram Multi-Colored Vinyl! Customer evaluation for "Breakthrough...plus 180g"